More furniture just waiting to be reclaimed, refinished, restyled!! First up is this gorgeous dining table that comes with 2 large leaves making it perfect for everyday or entertaining - check out the legs on this beauty! These chairs are equally as stunning with their curvy lines! 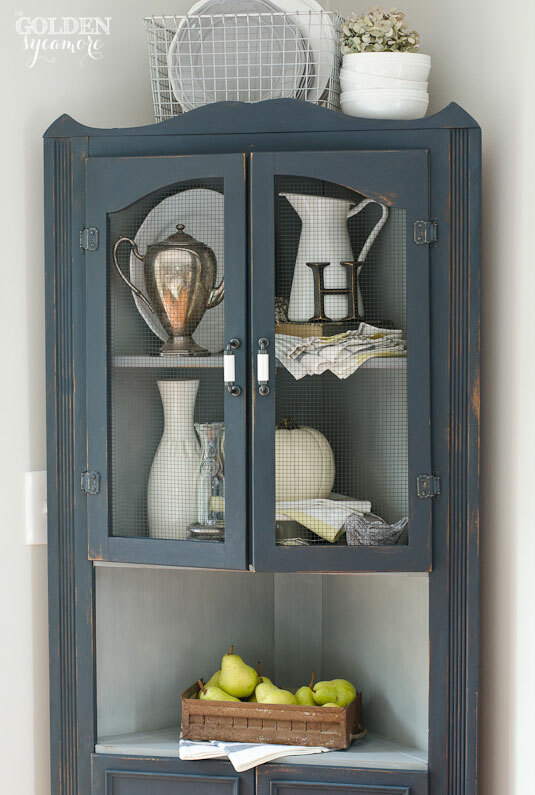 This cute and classic little cabinet could tuck away in any space - I picture a pretty pop of colour on the inside, what about you? Check out this corner cabinet - great for collectables or books! A dresser with details like this just calls out for some distressing and french caffeine beeswax - and look at that hardware! I'm always a sucker for these long and low dressers because they're great everywhere. Bedroom storage, media console, dining room buffet . . . In this series, we take all the guess work out of restyling furniture! We start by showing you a piece of furniture (or in this case a pair) that we have available in our studio inventory - and then we'll show you some similar pieces that have already been restyled to help get your creative juices flowing. How fun is that? This corner cabinet we found over at the Golden Sycamore is absolutely gorgeous restyled in Miss Mustard Seed's milk paint! And to think this was a side of the road find that was almost completely overlooked!! Sharing a couple more images because I just love it so much! Speaking of colourful - I LOVE the colour of this next cabinet! Take a look at this gorgeous coral cabinet we found at Jessi Makes Things. 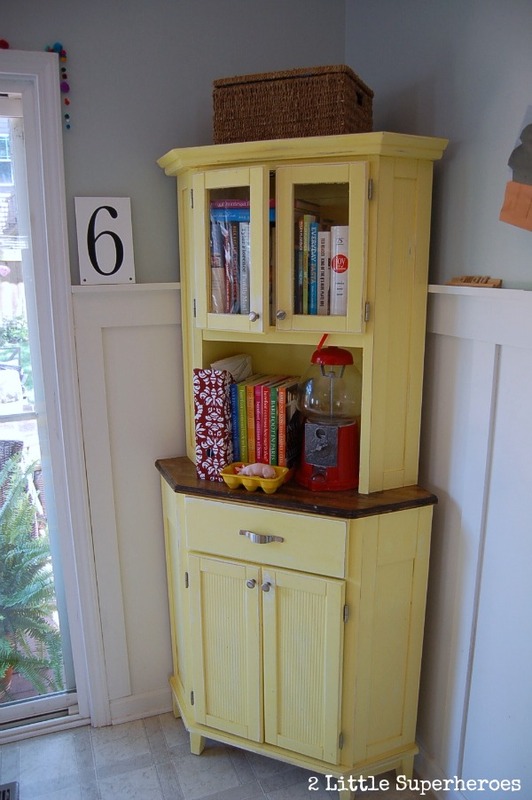 . .
Another version of this corner cabinet painted out in softer shades was found over at Cottage Instincts. I love how the blue interior really helps to showcase the pretty white dish ware. 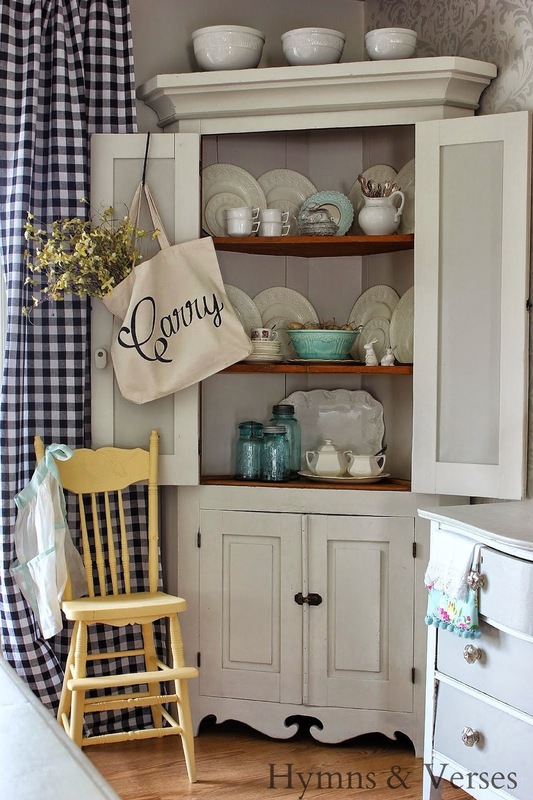 Last but not least is what I would call a country shabby chic version of a corner cabinet restyled by At The Picket Fence. Soft and sweet, you can't really ever go wrong with a soft white and a soft grey. Now that you have seen a few different styles of restyled corner cabinets, tell us - which is your favourite? If you were to restyle this corner cabinet (or have us do it for you), which style would you go with? Still need more inspiration? Follow us on Pinterest here!